If you have ever seen an ancient building that stands tall in the middle of a thriving city, the awe that such structures inspire is not an alien feeling. For millennia, humans have challenged the technology of the time and achieved remarkable feats of architecture, engineering and craftsmanship by building grand monuments, temples and tombs. Today, these structures are classified as man made wonders since it was nothing short of miraculous that such grand structures were built using the most primitive technology. 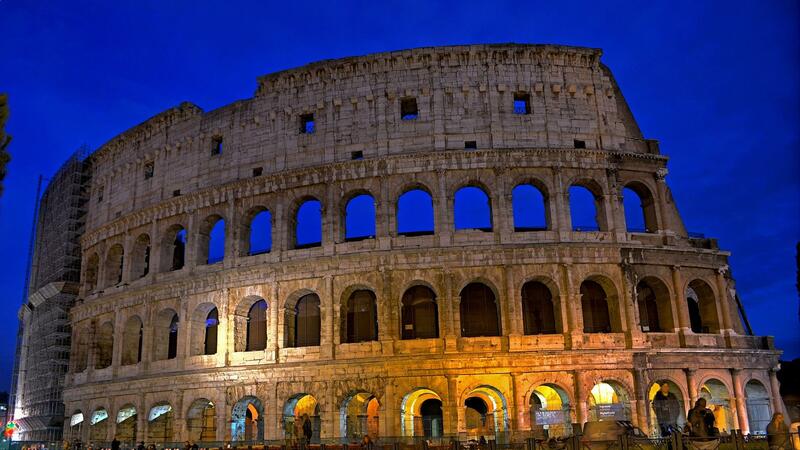 Here is a list of the top 10 man made wonders of the world. This is one of the beautiful wonders of the world and was built during the 7th century BC. It was later expanded by succeeding emperors to increase its length and height to tackle new threats posed by enemies from beyond the wall. The wall was built to protect the borders of the Chinese empire against attacks from nomadic tribes of the North and West and emperors were very successful in warding off attacks by arming the wall with troops and ingenious communication signals. It is the only man made wonder visible from space. The Pyramids of Egypt are burial sites for royals and important priests and stretch for over 9 kilometres. The complex that houses the pyramids also has other important structures like the Sphinx of Giza and other smaller tombs. The whole complex was declared a world heritage site in 1979. Set on the banks of the Nile River, most of the structures in this complex were built around 2500 BC. The pyramids are also one of the best-preserved man made wonders of the world. Known as a symbol of love throughout the world, this man made wonder is located in the Indian city of Agra and is a tomb built by Mughal ruler Shah Jahan for his wife Mumtaz. This beautiful tomb is the epitome of Islamic architecture and the walls, ceilings and pillars are carved with Islamic emblems and passages from the Quran. Gardens built in the Char Baug style surround the main structure and this complex is visited by more than 3 million people each year. The main structure is octagonal, though it appears square and is capped by a large dome and was a marvel of engineering of time. The statue of Christ the Redeemer is one of the wonders of the world is one of the largest statues of Jesus Christ ever made. It is located on top of a hill in Rio de Janeiro, Brazil and overlooks the beautiful seaside. This large statue has outstretched arms and took nine years to construct. It is the largest art deco statue in the world made out of soapstone and reinforced concrete. Today, this statue is widely accepted as a man made wonder. Since it is very close to the hugely popular Copacabana beach, it is one of the most popular tourist destinations in Brazil. One of the most famous man made wonders in Rome dates back to the high point of the Roman Empire and has a well known and rather bloody history. It was built as a stadium to stage show fights – often between slaves, animals, and convicts while people cheered for their favourite contenders. Most of the fights ended with one of the gladiators dying and the victor was spared to fight another day. There were many mechanisms to make the fight attractive for the spectators including trap doors to release animals from underground and flood the arena to stage sea battles. Easter Islands are one of the most famous tourist spots in Peru and have large monolithic figures with humanoid features and large heads. The proportions of these statues have been studied for as long as the heads account for about three eights of the statues. They were built by the Rapa Nui people at different times between 1250 and 1500 AD and one of them is incomplete. The tallest among the statues is almost 10 meters high and has been named Paro. These statues are one of the most visited in the world. The Bagan Temple Complex in Myanmar is one of the many abandoned cities in the world to be well preserved till today and is a popular tourist destination in Myanmar and a UNESCO world heritage. It is located in the plains of Myanmar since this region was the capital of the Pagan Empire that ruled Myanmar between the 9th and 13th centuries. This Buddhist Empire commissioned several temples, monasteries and other structures to be built in the capital and about 2200 of these temples stand till today. Because of the scale of construction, the beautiful architecture and planning of the city and the cultural significance, this site is a man made wonder. The Angkor Wat Complex is one of the largest and most beautiful temple complexes in the world and dates back to the 12th century. It was commissioned by Khmer King Suryavarman II in the early 12th century as the official temple of the state. The King was later buried here. Though it was initially a Hindu Temple, it was converted to a Buddhist structure when the rulers of the region changed. This man made wonder is very important for the people of Cambodia and also appears on the national flag. It draws many foreign and domestic tourists and was declared a World Heritage Site in 1992. This temple complex located in Cairo is one of the most well-preserved structures from ancient Egypt and there are many statues and paintings in this complex that are completely intact till today. The complex consists of four temples of which the temple dedicated to Amun is the largest. All the temples and other structures in this complex were built using only sandstone which is a remarkable feat, considering that this man made wonder was constructed between 1390 and 1350 BC. This is probably one of the most enigmatic man made wonder in the world since it was built a long time ago and original builders are unknown till today. The city was designed to be a large urban complex stretching over 20 square kilometres with many distinctive pyramids and when it was habited; it could have housed over a hundred thousand people. The city was abandoned about 1,400 years ago and taken over by the Aztecs much later and redeveloped into an urban centre. The current name was given by the Aztecs. To honour these man made wonders and give them the proper degree of care, many of these sites have been declared UNESCO World Heritage Sites or national monuments and great effort is being put into preserving these structures for the coming generations so that they too can witness the rich history of humankind.